Call 3DTechnics at 1-866-202-0480 for Best Pricing! 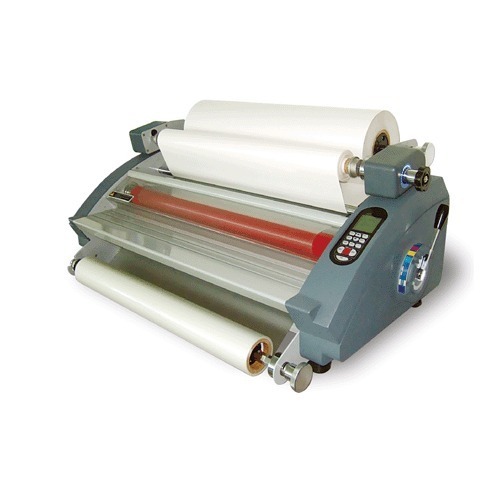 Laminators come in two basic types - hot and cold. 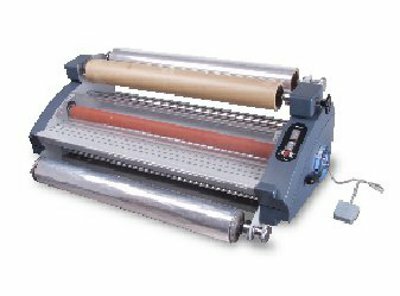 It's possible to run a hot laminator as a cold machine. 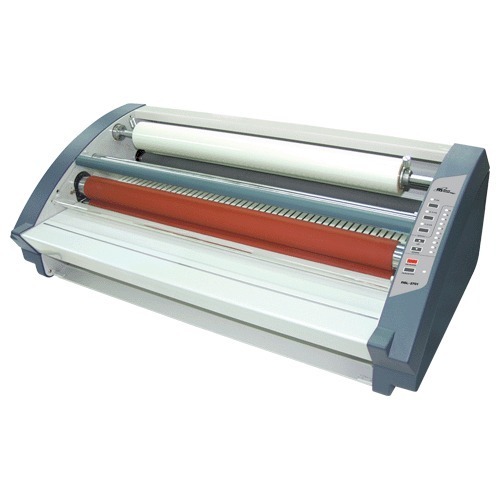 Hot laminators: Used for papers, which can handle heat. Not used for vinyl, which can shrink or warp under heat. 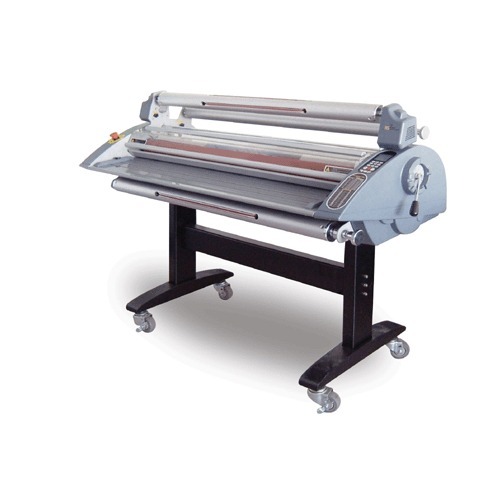 The laminate material for hot lamination is about 1/4 the price of the laminate for cold lamination, so it makes financial sense to purchase a hot laminator if paper will be used in volume. Paper should only be used indoors. 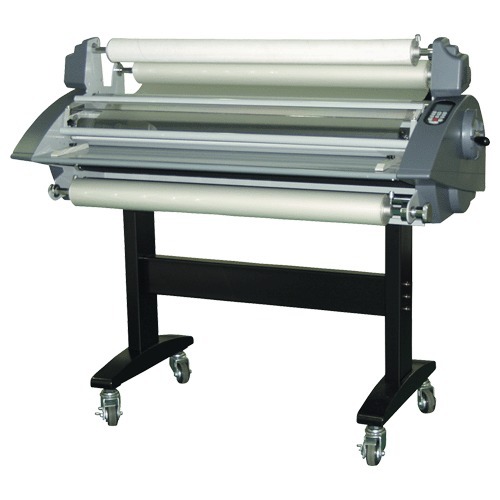 Cold laminators: Used for vinyl or papers. Cold-laminated vinyl can be used outdoors. Release-liner can be used as backing material. Its free since it comes with the laminate, and it works better than kraft paper. 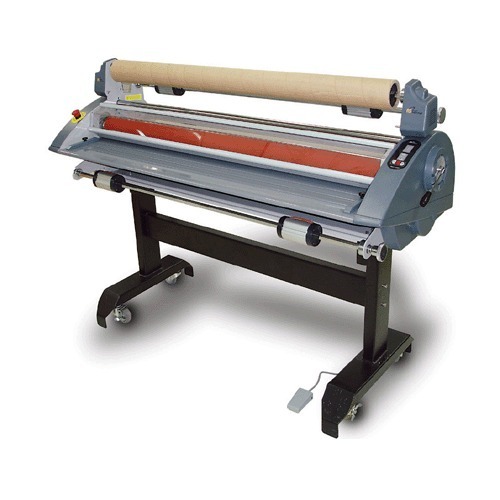 The key is do not run a continuous roll or sheet of backing paper, as it will cause wrinkles. 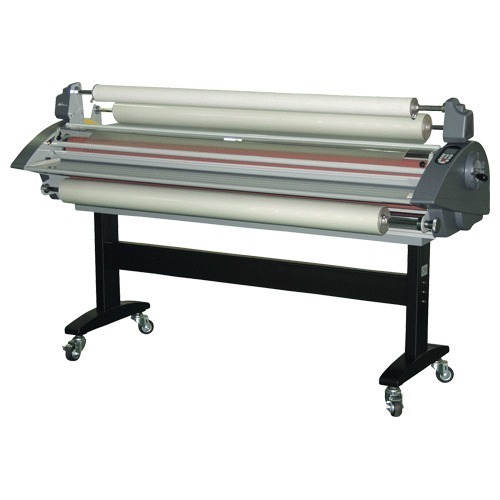 See the video above in the Common section for instructions on how to use the backing paper when webbing up the laminator, and the use of strips between graphics. The key to cold laminating is making certain the laminate is never wider than the print media, and preferably narrower. A good and common example is 54" print media. The images are usually max 51 - 52", and are usually 48" when finished. It's possible to use 54" laminate, however 51" Laminate is ideal for these applications as it covers the complete image and will not overhang the edges.